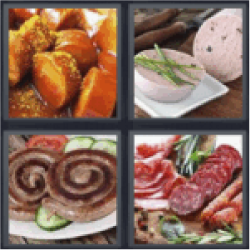 4 Pics 1 Word Food. Dip. Sausage rolled up. Sausage.